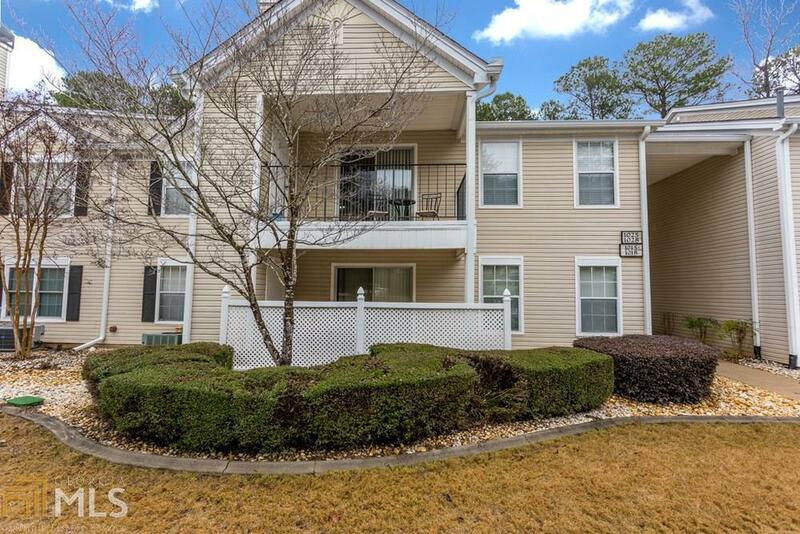 Charming GROUND FLOOR 2 bedroom, 2 bath condo in the heart of Peachtree City, across from Kroger Crosstown Shopping Center. Open floor plan. Kitchen has a view to the Large Family room with FIREPLACE. Large eating area. Very SPACIOUS MASTER with huge master closet and update master bath with tile shower. Spacious spare bedroom. Private patio. HOA includes, pool, trash, water, grounds and building maintenance. Unit is move in ready. Directions: From Peachtree City: Head South On Ga-54 N Toward Ga-54 N. Turn Right Onto S Peachtree Pkwy. Turn Left Onto Ridgefield Dr. Turn Left To Stay On Ridgefield Dr. The Building Is On The Right.